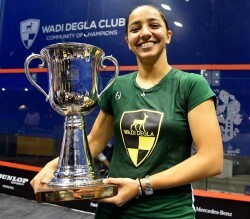 Raneem El Welily emphatically boosted her bid to become the next women’s world number one when she despatched fellow Egyptian Omneya Abdel Kawy in straight games in the final of the Alexandria International in her home city of Alexandria to claim the 10th WSA World Tour squash title of her career. 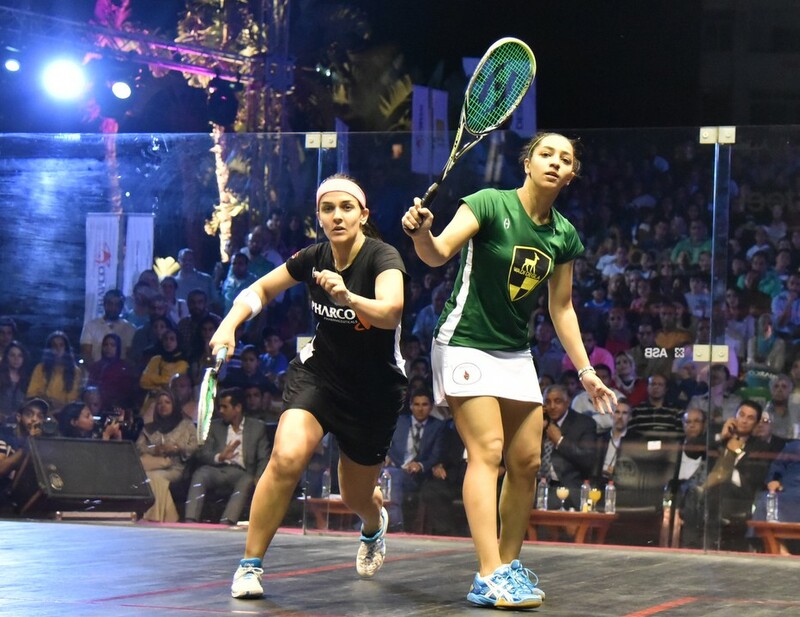 It was an impressive performance by the Alexandria-born 26-year-old who has held second place in the WSA world rankings throughout this year and is enjoying the best form of her life with final berths in all but one of her last seven Tour appearances. 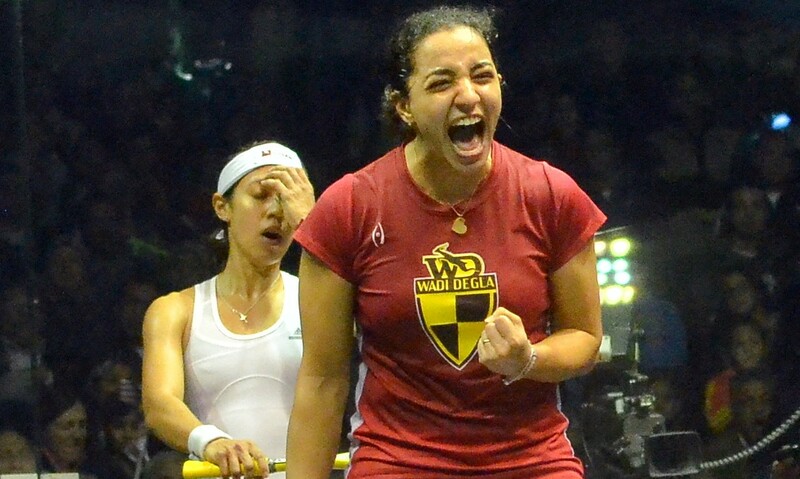 El Welily, who admitted to be “struggling” with her game early in the event, regrouped in magnificent style in the WSA International 100 event at Bibliotheca Alexandrina to overcome both British Open champion Camille Serme and former world champion Laura Massaro to reach her 25th Tour final on home soil. 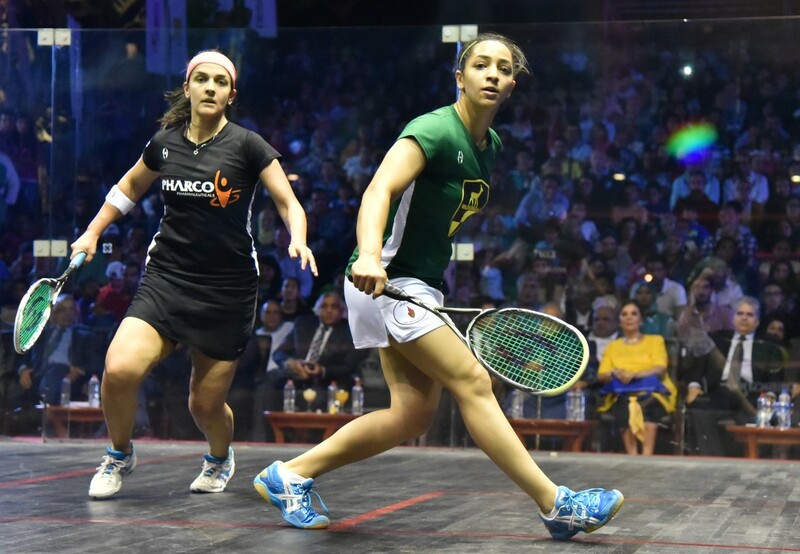 It took just 35 minutes for the No.2 seed to beat surprise opponent Abdel Kawy – the seventh seed who sensationally ended a 24-match losing run to beat Malaysia’s world number one Nicol David in the semi-finals. Undoubtedly spurred on by the packed and partisan Bibliotheca Alexandrina crowd, El Welily defeated her Cairo-born opponent 11-6, 11-5, 11-9. 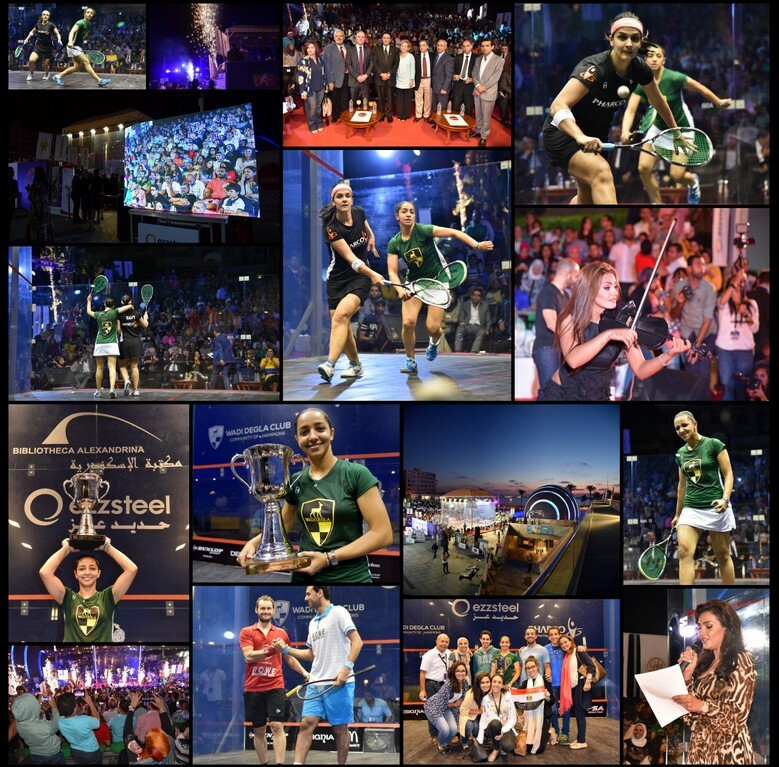 “Very happy with this win,” El Welily told the event website www.alexandriainternationalsquash.com later. “I’m very grateful. 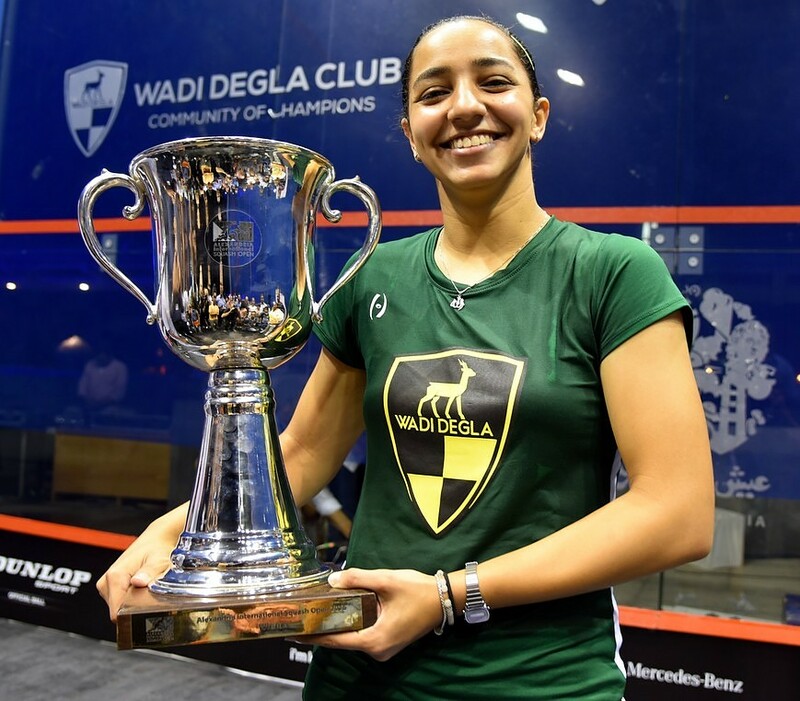 El Welily’s latest triumph in the $100,000 Alexandria International marks the third biggest WSA Tour title of her career. 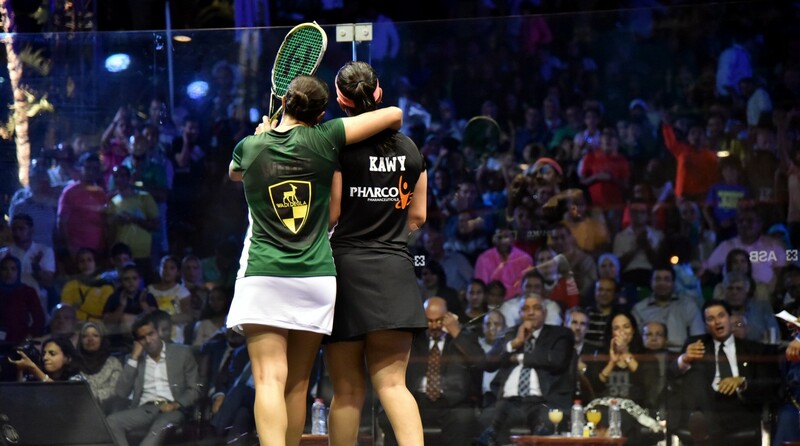 But her two biggest were also this year – the $118,000 Tournament of Champions in January and the $150,000 Windy City Open in March.